Famous Momofoku chef complains about San Francisco's mandated minimum wages and health benefits. David Chang's dis of San Francisco does not bode well for his book tour visit. 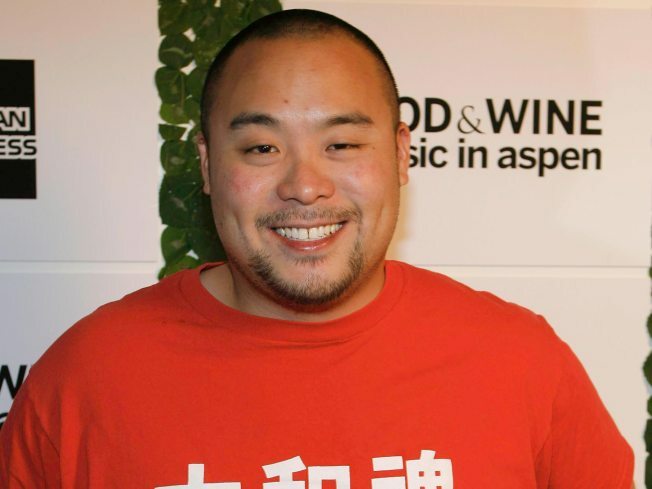 Chef David Chang, a rising star who started one of New York's trendiest restaurants, Momofoku, and is promoting a cookbook by the same name, doesn't like San Francisco. At a panel discussion in New York with fellow loudmouth chef Anthony Bourdain, Chang called "bulls**t" on the city. "There's only a handful of restaurants that are manipulating food ... f***ing every restaurant in San Francisco is serving figs on a plate with nothing on it." Okay, so there was that restaurant that was charging diners three dollars for just a pear on a plate, but it was a really good pear! And good luck finding produce that fresh in New York City. The unkind words were enough for the NorCal Asia Society to revoke Chang's invitation to a speaking engagement. And now he's complaining that the reaction was "retardedly stupid," and promises never to open a restaurant here. "The bureaucracy is just ridiculous, if you're gonna burden all these businesses with minimum wages and health care," Chang told the SF Weekly. Chang probably shouldn't be surprised by crowds of fig-tossing hecklers when he swings through town on his book tour. Jackson West enjoyed his meal at Momfoku Ssam Bar, but the Stumptown coffee tasted like the beans had been roasted a week earlier in Portland.